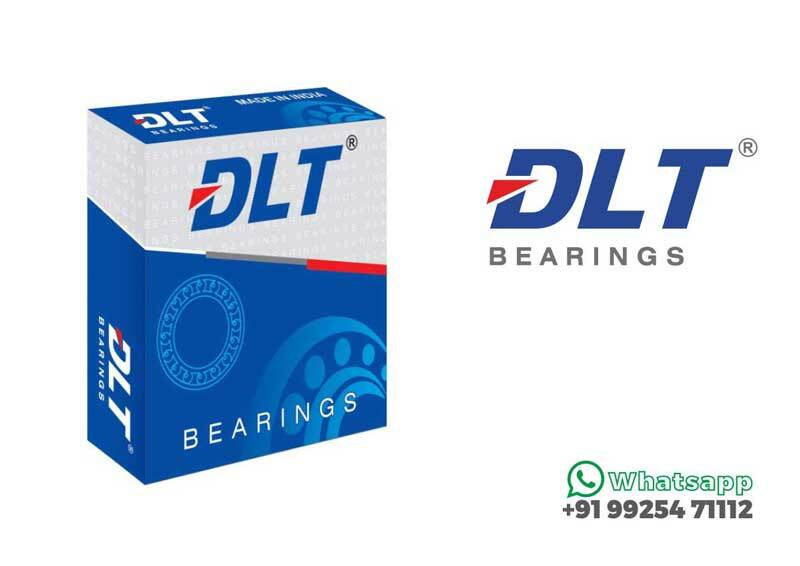 Lubrication, whether it is through the use of oils or grease, plays a vital role in the performance and life of rolling element bearings. But if these lubricants are not applied in the proper manner, their affect is greatly reduced and could lead to the bearing failing prematurely. Grease is normally applied with special lubricating equipment with a head that deposits the grease between the balls forcing it into, and around, the ball (or roller) raceway interface. Upon rotation the grease is distributed within the bearing, however, only the bearing should be completely filled with grease prior to start-up and the free space in the housing should only be partially filled. Excessive grease in the bearing will cause the operating temperature to rise quickly, especially at high speeds. Before operating at full speed, a running-in period is required to allow the grease time to settle or escape into the housing cavity. The amount of grease is typically specified as a percentage, such as 30% fill. The percentage represents the actual grease volume compared to the free internal space within the bearing. In other words, if the internal space in the bearing were completely filled with grease with no voids, it would be 100% full. Manufacturers of bearings have different amounts that they would consider standard, but typically range from 20% to 40%. In small or miniature bearings grease fill amounts can be as little as 10%. In applications where bearings are operating at very low speeds and require good contamination and corrosion resistance, it is recommended that the housing be completely filled with grease. Unlike grease lubrication, there are numerous ways in which oil can be applied to a bearing. Each of these methods is suited to certain bearing applications and operating environments. The oil bath is one method that is suited for bearings in low and moderate speed applications. The motion of the bearing distributes the oil as it rotates through an oil bath located at the base of the bearing. For applications running at higher speeds and temperatures, the oil pick-up ring may be a more affective method than the oil bath. Like the oil bath method, the oil pick-up ring uses the bearings movement to distribute oil, but instead of having the bearing itself move through a static pool of oil, a separate ring acts as the oil catch. The ring hangs loosely from a sleeve on the shaft on one side of the bearing. As the bearing rotates, the ring follows and transports oil from the bottom to a collecting trough. From there the oil flows down through the bearing and back into the reservoir at the bottom. This method reduces bearing operating temperature, but is only suited for horizontal applications because of the oil ring dynamics. In high-speed applications, increased operating temperatures cause oil to degrade at a faster rate. To prevent the need for frequent oil changes, a circulatory system can help prolong the life of the oil in harsh operating environments. The system uses a pump to circulate oil through the bearing. As the oil drains from the bearing housing, it is collected in a reservoir where it is filtered and, if needed, cooled before being pumped back through the system. As for very high-speed applications, an oil jet system can sufficiently lubricate a bearing without the risk of excessive oil causing increased operating temperatures. In this lubrication method, a high-pressure jet of oil is directed at the side of a bearing. The velocity of this jet must be high enough to penetrate the turbulence surrounding the rotating bearing. Some applications require a specific kind of lubrication method, such as oil mist. In this process, a mixture of clean, dry air and atomized oil is supplied to the bearing housing under suitable pressure. This method provides a flushing action and can act as a minor bearing coolant. Additionally, the positive pressure inside the bearing created by the flow of mist creates an outward airflow that can help keep out contaminants. This outward flow of air and oil, however, can result in unpleasant surroundings with possible environmental effects. The air/oil method of lubrication, also known as the oil-spot method, uses a similar air and oil combination to provide lubrication to bearings. This method uses compressed air to move a precise amount of lubricant directly into the bearing, but unlike the oil mist method, there is no atomization of the air or oil. This allows more effective use of higher viscosity oils while using less oil overall. As with the oil mist method, the internal pressure of the bearing helps to repel outside contaminants.